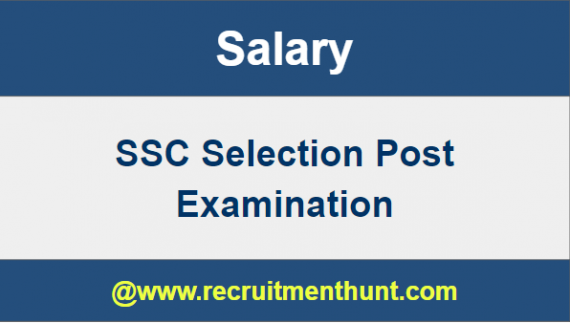 SSC Selection Post Salary: SSC (Staff Selection Commission) will recently announce the notification for the post of Selection Posts. As per the notification, there are vacancies for candidates of all educational qualification – Matriculation, Higher Secondary, and Graduate & above level. This is a great chance for all those candidates who are looking for a government job. Aspirants who are appearing for the Examination will be very eager to know about SSC Selection Post Salary. So, here we are providing all the details regarding SSC Select Post Salary Structure, Allowances, Job Profile and SSC Selection Post Career Growth. The regions for which the total vacancies are available are Central Region (CR)/ Bihar and Uttar Pradesh, Eastern Region (ER)/ Andaman & Nicobar Islands, Jharkhand, Odisha, Sikkim and West Bengal, Karnataka, Kerala Region (KKR)/ Lakshadweep, Karnataka and Kerala, Madhya Pradesh Sub-Region (MPR)/ Chhattisgarh and Madhya Pradesh, North Eastern Region (NER)/ Arunachal Pradesh, Assam, Manipur, Meghalaya, Mizoram, Nagaland and Tripura, Northern Region (NR)/ NCT of Delhi, Rajasthan and Uttarakhand, North Western Sub-Region (NWR)/ Chandigarh, Haryana, Himachal Pradesh, Jammu and Kashmir and Punjab, Southern Region (SR)/ Andhra Pradesh, Puducherry, Tamil Nadu and Telangana, Western Region (WR)/ Dadra and Nagar Haveli, Daman and Diu, Goa, Gujarat and Maharashtra. SSC Recruitment 2018-19: Apply for one Junior Hindi Translator, Senior Hindi Translator, Hindi Pradhyapak vacancy in SSC Recruitment 2018-19 Across India. 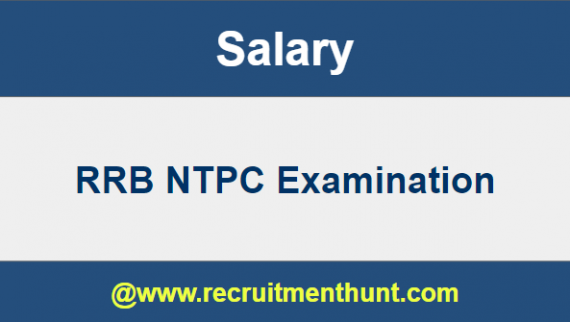 New recruitment Jobs 2018-19 notification ssc.nic.in published for the post Stenographer in SSC Recruitment 2018-19 read complete details before applying. One Vacancy in SSC Notification for the post Caretaker. Here we also have SSC Scientific Assistant Syllabus in other sections. You can go through our website recruitmenthunt.com for more information regarding SSC Selection Post. Finally, candidates can check SSC Selection Post Salary and Salary Structure here. So, applicants can make their preparation easier by following SSC Selection Post Syllabus. Download SSC Selection Post Exam Pattern along with SSC Selection Post Previous Year Papers through this article. Also, for more job updates subscribe and stay tuned to our website RecruitmentHunt. 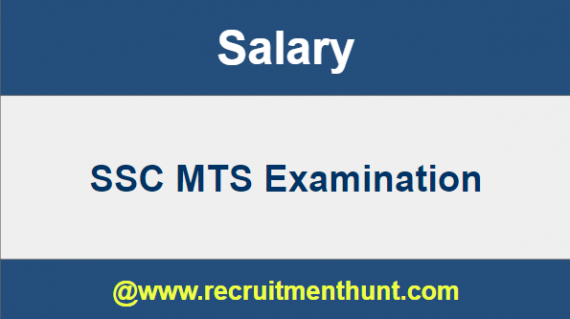 SSC MTS Salary 2019: The Staff Selection Commission had released a notification for filling 8300 vacancies in various multi tasking posts in the year 2018. However, SSC has recently released the much-awaited SSC MTS exam date 2019. SSC MTS Paper I 2018 will take place on 16th Sept.2019 to 26th Oct. 2019. tentatively. Aspirants can stay tuned or do follow our site so that you will get all the updates when we updated the perfect information regarding Exam Date and and about the SSC MTS examination 2019 . To keep you motivated, we are giving you a glimpse of the salary you will get after your appointment as SSC multi tasking staff. MTS exam is one of the most participated exam of India for 10th (matriculation) passed students. This is also known as SSC MTS (multi-tasking staff) non-technical exam. Staff Selection commission Multi Tasking Staff Salary Structure will be explained in detailed below in other section which may help aspirants to get a clear picture about salary and benefits in this section. SSC MTS Exam can be applied using MTS Online Payment. For more information regarding SSC MTS Salary and SSC MTS Exam Stay tuned to our website i.e www.recruitmenthunt.com. Here in our website we have SSC MTS Exam Syllabus, SSC MTS Exam Pattern, SSC MTS Notification 2019 and SSC MTS Admit Card. It is mandatory for the candidate to qualify both these stages of examination in order to make it to the merit list prepared by SSC prepared at the end. With the release of notification, exam pattern, vacancy, eligibility and other related details will be declared. Candidates can check the official notification by clicking on the link that will be mentioned on this page after it has been released by SSC. SSC MTS Salary details will be mentioned below in other sections. Aspirants who are appearing for teh examination have to go through carefully so that they may get an idea about the SSC MTS Salary Structure, SSC MTS Job Profile etc. SSC MTS Salary Structure, SSC MTS Job Profile will be explained in detail. Once the 7th pay commission comes to force, there will be a considerable increase in the current SSC MTS Salary. Also, additional benefits will be provided. 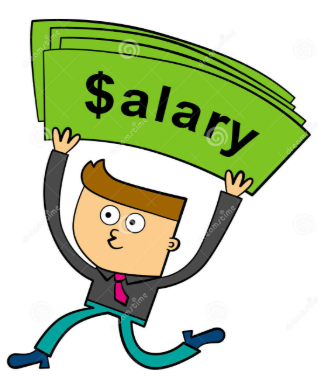 SSC MTS salary is calculated as Gross Salary & In-Hand Salary. After the application of 7th pay commission, the income of every government job got increased by almost 20%. Multi Tasking Staff is a general central service group ‘C’ non-gazetted, a non-ministerial post which falls under Payband-1 (Rs.5200 – 20200) + Grade Pay Rs.1800. 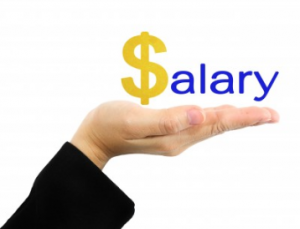 However, the take-home salary of MTS ranges between Rs.18,000 – 22,000 /month (approx). The SSC MTS Salary Structure 2018 is based on the effect of the Seventh Pay Commission on the central government departments. The salary structure comprises of many facets such as basic pay, dearness allowances, house rent allowance, traveling allowance, dearness allowance on traveling allowance etc. Various components combine to form the gross salary. In addition there are contributions for National Pension Scheme, CGHS, CGEGIS and deductions. Finally the deductions subtracted from the gross salary give the In-Hand Salary figures. Some of the most important responsibilities of multi-tasking staff, set by the Government are given below. 1. Physical Maintenance of records of the Section. 2. General cleanliness & upkeep of the Section/Unit. 3. Carrying of files & other papers within the building. 4. Photocopying, sending of FAX etc. 5. Other non-clerical work in the Section/Unit. 7. Delivering of dak (outside the building). 8. Watch & ward duties. 9. Opening & closing of rooms. 11. The dusting of furniture etc. 13. Work related to his ITI qualifications, if it exists. 14. Driving of vehicles, if in possession of the valid driving license. 15. Upkeep of parks, lawns, potted plants etc. 16. Any other work assigned by the superior authority. Finally candidates can check SSC MTS Constable Salary and pay scale here. So, applicants can make their preparation easier by following SSC MTS Constable Syllabus. Download SSC MTS Constable Exam Pattern along with SSC MTS Constable Previous Year Papers through this article. Also, for more job updates subscribe and stay tuned to our website RecruitmentHunt. SSC Stenographer Salary: The Online Application date for SSC Stenographer Examination 2019 will be announced soon. Interested can apply for SSC Stenographer Jobs 2018 through the official portal, https://ssc.nic.in when they start taking online applications. 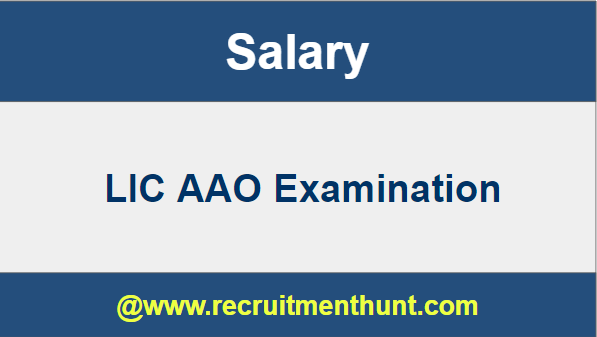 Before applying to SSC Stenographer aspirants should have an idea about Stenographer Salary. SSC Stenographer Grade ‘C’ & ‘D’ Recruitment Exam 2019 notification will be released by the Staff Selection Commission (SSC) officially once after they start taking online applications for SSC Stenographer examination. The SSC Stenographer Application Form will be available on the official website of SSC. So, the interested candidates who want to apply for SSC Stenographer Scale 2018 can read the complete details from the following page. Here we update the official website links to submit SSC Stenographer application form on the website for the SSC Stenographer Exam 2018 once they open online application. Salary of Stenographer will be explained completely in the below sections. Other than SSC Stenographer Salary there are many other Benefits and Medical Allowances, House Rent Allowances. Above are some of the important details for SSC Stenographer Recruitment. Also, we have provided SSC Stenographer Eligibility Criteria details, Selection Process details, Pay Scale and many more details. Hence, the candidates are advised to go through the entire page for more SSC Stenographer Details. Also, you can get details for SSC Stenographer Process from the following page. Stenographer recruitment in Central Government will be done in 2 steps first one is Computer Based Test and then there will be a direct interview and shortlisted candidates will be allocated based on their overall score. The online application for the SSC Stenographer vacancies 2019 will be completed through the online application portal and candidates are advised to go through all the application instructions before applying online for SSC Stenographer 2019 jobs.SSC Stenographer Salary will be explained in this section with SSC Stenographer Salary Structure, SSC Stenographer Salary, SSC Stenographer Job Profile & Career Growth. Here we come across SSC Stenographer Salary and job description like what are the roles, responsibilities, benefits and career growth of an SSC Stenographer. The salary structure of various government positions have been upgraded after the implementation of 7th Pay Commission. Stenographer Grade C and Grade D – Group X employees will be posted in various departments of Central Government in Delhi. 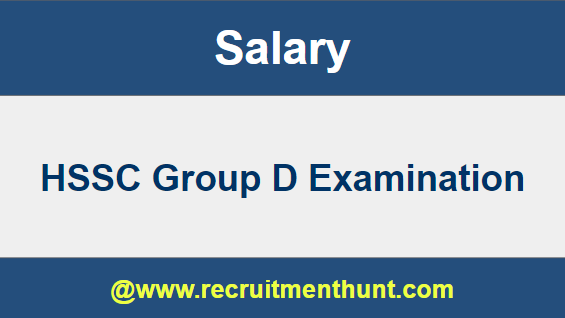 While the Grade D – Group Y employees will be posted in various Central Government departments located in other parts of India. Group ‘X’ – For Ministries/Departments of Central Government located mostly in Delhi. Group ‘Y’ – For Offices/Departments of Central Government including Attached/Subordinate Offices located in States and Union Territories all over the country. Stenographers, first of all, work with assigned senior officers and note down any speech given by the officer. In addition, their job is to do this efficiently as such speech details can be important governmental records. Stenographers also attend press conferences along with assigned officer or minister. Because of their presence, they can note down all the details and speeches of the conference. This allows the Government, consequently, to use Stenographers for help in making press releases of the same. Another work for stenographers is to assist the assigned officers and ministers in preparing speech. Since they are involved in various governmental proceedings, they know important information about it useful for the officer/minister. In addition, stenographers make notes daily. These notes are about various governmental departments and their stands on issues. This information needs to reach public and so stenographers help Public Relations Officers by knowing these details. The job role of a stenographer belongs to a special category. 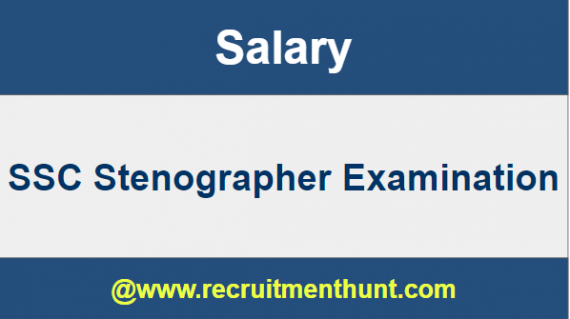 A stenographer can get timely promotions by attending departmental examinations and hence obtain promotions to higher cadres of Stenographers, within a certain ministry. SSC Stenographers have great opportunities for growth. In this job, promotions are given once an employee has worked for some years in a post. However, one can even appear for departmental exams and get promoted quickly to higher grades/posts. 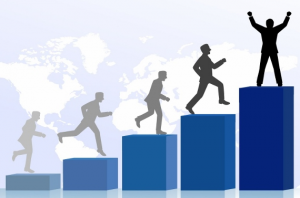 However, promotions and increment will be based on your performance, achievement and lastly the seniority of you job or position when there is equal experienced person of the same age then performance will given a first preference. Finally candidates can check SSC Stenographer Salary and Salary Structure here. So, applicants can make their preparation easier by following SSC Stenographer Syllabus. Download SSC Stenographer Exam Pattern along with SSC stenographer Previous Year Papers through this article. Also, for more job updates subscribe and stay tuned to our website RecruitmentHunt.